Outdoors and adventure store Tripatricks updated its range of products to provide high-quality Vurtego Pogo Sticks, including the popular V4 and V4 Pro. Tripatricks, an online store specializing in outdoors and adventure products, announced an updated range of Vurtego pogo sticks. An official Vurtego partner, the store offers high-quality, air-powered pogo sticks which can be easily adjusted according to the desired jump height. Unlike most other pogo sticks, the Vurtego sticks allow users to safely jump as high as eight feet. More information can be found at https://tripatricks.com/collections/vurtego-pogo-stick. First designed more than 120 years ago, the pogo stick is widely popular with children all over the world. 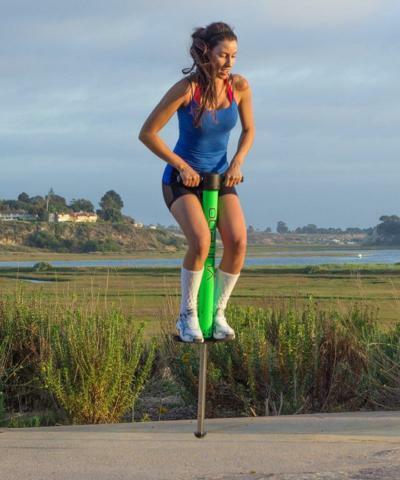 Recent years have also seen its growing popularity with adults, as pogo stick workouts offer a series of important benefits in terms of cardiovascular health and overall fitness. Anyone interested in a durable pogo stick with a widely adjustable jump height can visit Tripatricks for the updated range of high-quality Vurtego pogo sticks. The Vurtego V4 is a fourth-generation pogo stick that is easy to use by both children and adults. Designed for maximum jump height, the air pressure can be adjusted for jumps between two to six feet in height. Vurtego recommends jumps of five feet or lower for maximum comfort, but states that the V4 is capable of jumps of up to eight feet. Tripatricks also provides the V4 Pro and the V4 Pro Cherry Apple edition. Fast shipping on all orders is available in the US, Canada, Australia, New Zealand, South Africa, and many European countries. With the recent update, Tripatricks continues to expand its range of high-quality outdoors and adventure products.